Natural Gas is sold by the Cubic Foot., or more accurately, in units of 100 cubic feet (Ccf). 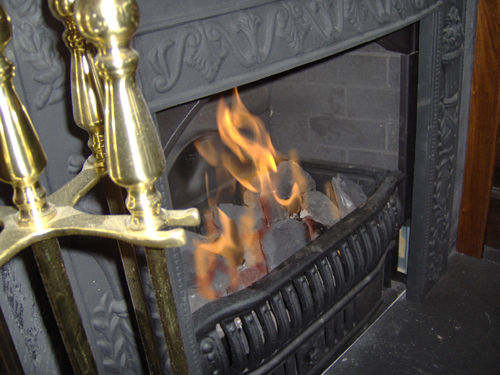 Vented gas logs and vented gas coals are retrofit into fireplaces and perform exactly like a wood burning fire. They use room air (the air you’ve heated to 70 degrees) to provide combustion air to the fire. The average fireplace is between 10% efficient and 10% inefficient, so let’s just say your fireplace is going to perform at about 0% efficiency. In other words, just about exactly 100% of the heat produced is going up the chimney AND taking your heated room air with it. Gas Logs average 50,000 to 80,000 btu’s of gas consumption per hour, so one Ccf of gas will run your gas logs for about 1-1/2 to 2 hours and provide ZERO HEAT. Gas coals average 25,000 btu consumption so you’ll get 4 hours of burn time on the same amount of gas and still gain ZERO HEAT. Vented Gas Inserts are also retrofit into an existing fireplace, but they feature a glass window so they can’t use your room air for combustion. Instead they use a dual 3” aluminum liner system that brings combustion air from outdoors down one liner and vent the fumes up the other liner. Gas inserts average 7,000 to 30,000 btu input at 75% efficiency and can heat 800-2000 sq. ft.
ONE Ccf of gas can burn for 4 to 14 hours in an insert while providing all or much of the heat that your home needs. 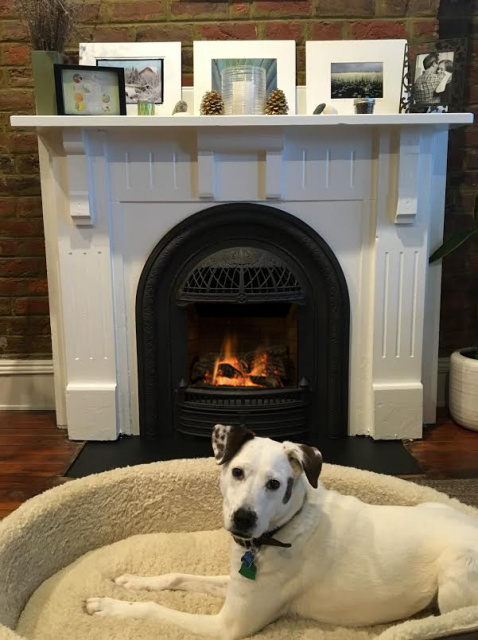 We're often asked how a gas fireplace can be more effective at heating your home than a forced air furnace. They both use gas, right? The furnace heats air that circulates through your home; as this warm air moves it cools down. Radiant energy - like the heat from the sun - heats objects, including people, in a straight line and that heat is absorbed and stored by these objects. RADIANT HEAT REQUIRES 30% LESS ENERGY THAN FORCED AIR SYSTEMS, so you can be far more comfortable even if the AIR temperature is lower. How could it be better than saving money on fuel while also being more warm and cozy?